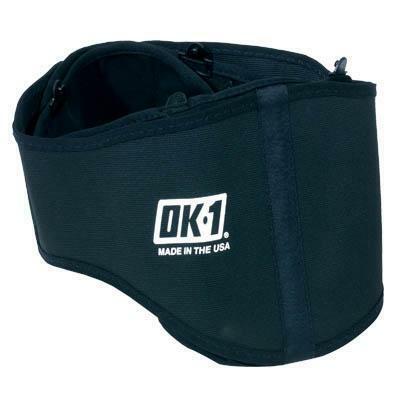 Designed to support the vertebrae and help maintain spine alignment. Construction provides ventilation and prevents belt ride-up. Tension belt when support is needed. Tensioning arms are 'parked' until required. Integral lumbar support pad moulds to body shape. Tension belt with velcro fastening system.